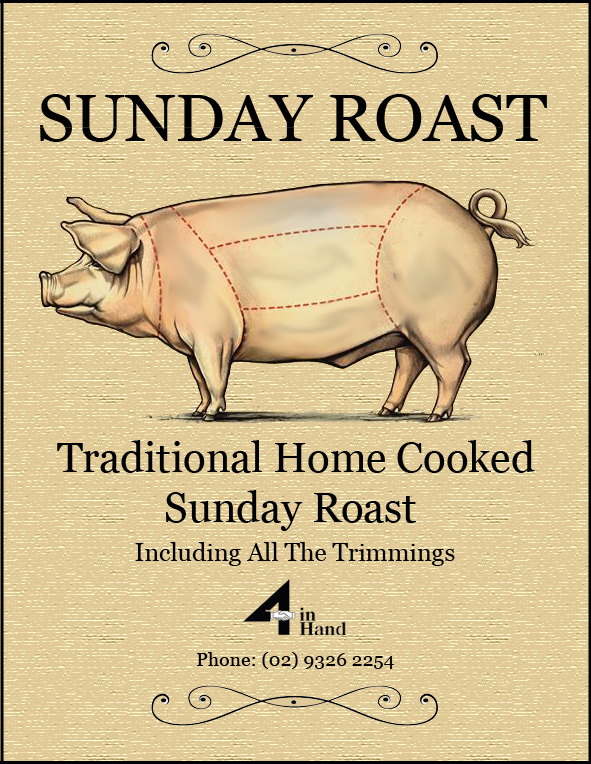 Where's the Best Sunday Roast in Sydney? With winter comes the craving for "winter warmer" style food and, in particular, a good Sunday style roast with all the trimmings. Personally, I cant cook a piece of meat to save my life but, thankfully, some of my favourite venues in Sydney can. And for a very reasonable price too. I'm in. Here are five Sunday Roasts I can't wait to try, and all at places I love. Here you can get your Sunday Roast with all the trimmings for just $20. And you can enjoy it in the lush surrounds of this gorgeous venue located in a quiet corner of this pumping suburb. I have eaten here many times and the food has always been good, as is the atmosphere. Image: Exchange Hotel fb page. Apart from one of the best views, here they offer a "carve your own" feast for $50pp (min 4 people) every Sunday. 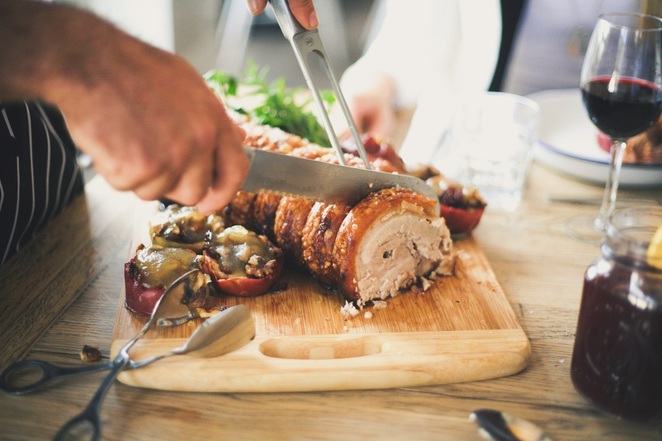 Dig into a juicy piece of pork, a variety of sides, dessert, plus a glass of mulled wine. Sounds like a great way to enjoy a Sunday roast with the family. Bookings are essential on 02 8960 6706. For just $29 until sold out, the Sunday Roast here gives you two choices, Pork Rack & Crackling, roasties, pumpkin mash, roasted apple purée, yorkies, gravy OR Riverine Saddle of Lamb, roasties, pumpkin mash, yorkies, mint jelly, gravy. Available from 12 Midday, this place is always super busy with a great location and lots of different dining areas, including the kid friendly "lawn". You can thank celebrity chef Colin Fassnidge for this sumptuous Sunday Roast at Four in Hand, which comes with all the trimmings and, at just $24, it draws a crowd. Be sure to arrive early as they don't take bookings. 5. The Lord Dudley, Paddington. One of Sydney's oldest English style pubs would, of course, offer an old English style Sunday Roast. 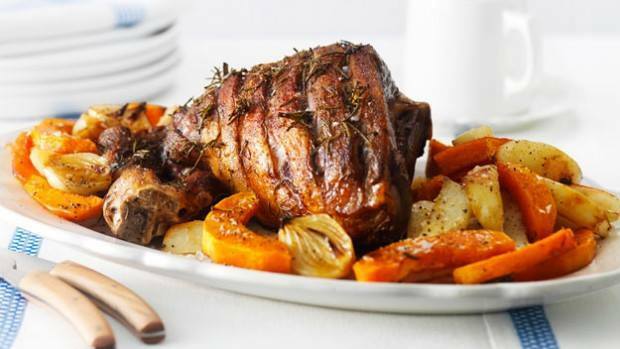 Changing weekly (beef, lamb, pork, chicken) and served with roast potatoes, veges, Yorkshire pudding and gravy, for $25 ($27.50 for beef), this family run pub offers you a traditional Sunday Roast all year round. Available for lunch and dinner OR until they run out, this busy pub is a grand old place that exudes the perfect atmosphere for a cosy meal. These are my picks, let us know your "must try" Sunday Roast spots.